Green Prescription is a programme that helps you to get more activity into your day-to-day life. It includes free consultations with a physical activity coach and the opportunity to participate in Be Active programmes. 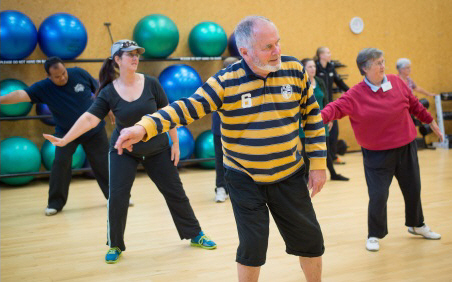 In Be Active programmes, you can try a range of activities, meet others, and get support. Green Prescription is funded by the Ministry of Health, so there is no cost, except for a small charge to participate in the Be Active programmes. Ask your general practice team if Green Prescription could be right for you, or phone 0800‑ACTIVE (0800-228-483). You can also fill in a Green Prescription self referral form online. The following video shows you more information about Green Prescription. Sports Canterbury – What is Green Prescription? This brochure explains how the Green Prescription programme works. This page explains Be Active and outlines the programme for the current term. It includes a programme specifically for people with prediabetes or diabetes. Read the stories of people living healthier, more active lives thanks to Green Prescription. In these videos, people share their stories of how Green Prescriptions has improved their health.